There are lots of opinions about weddings. You could say, too many opinions. I would never say that, of course. But someone could. What kept me sane during the madness of wedding planning were the projects. I am a huge fan of the DIY. I saw this idea on Pinterest and was inspired! So when something goes awry I recommend you bottle, not throttle! 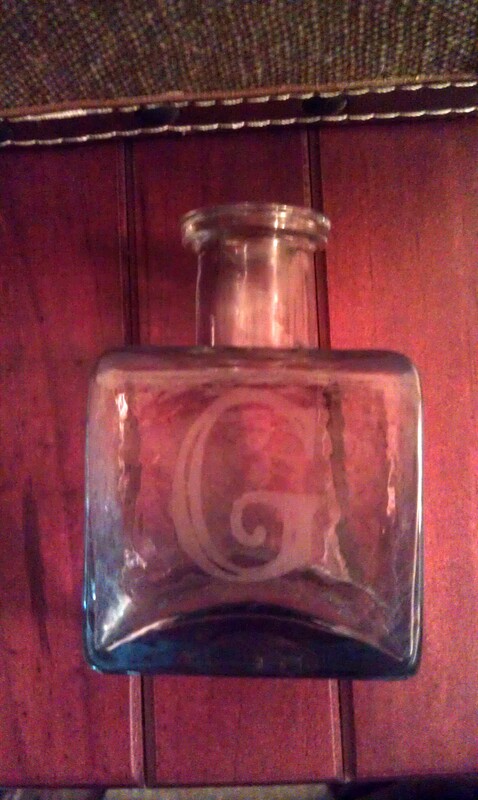 STEP 1: I started going to Goodwill and collecting all the tiny bottles I could find. I considered having a variety of colors but in the end I went with clear. I was a little worried about not having enough for all the guests so I picked up a set of min-jars with corks at Michael’s. They don’t have them online, but Amazon does: http://www.amazon.com/Mini-Glass-Jars-Stoppers-10ml/dp/B007XV10HQ/ref=sr_1_3?ie=UTF8&qid=1366494233&sr=8-3&keywords=jar+cork One thing I advise you avoid is using those with twist lids. The corks don’t look as good on a twist jar, in my humble opinion. You can also buy a variety of corks at the craft store if you lose any! 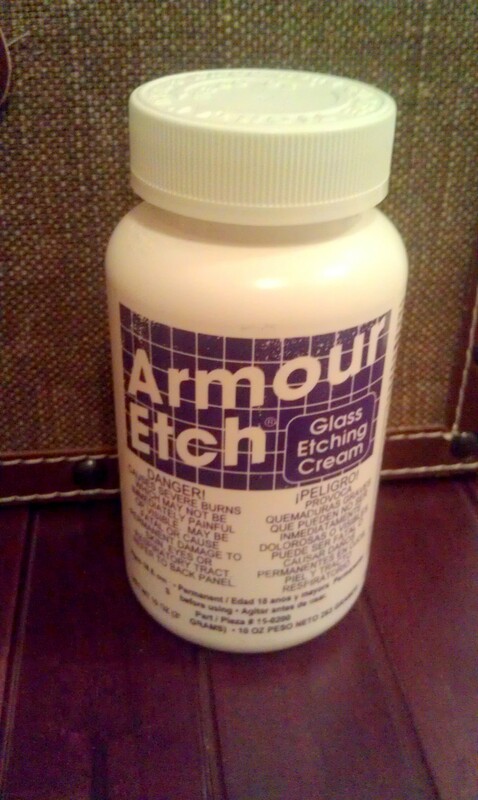 You could even make little tags to attach to each bottle! Have your initials and the date? 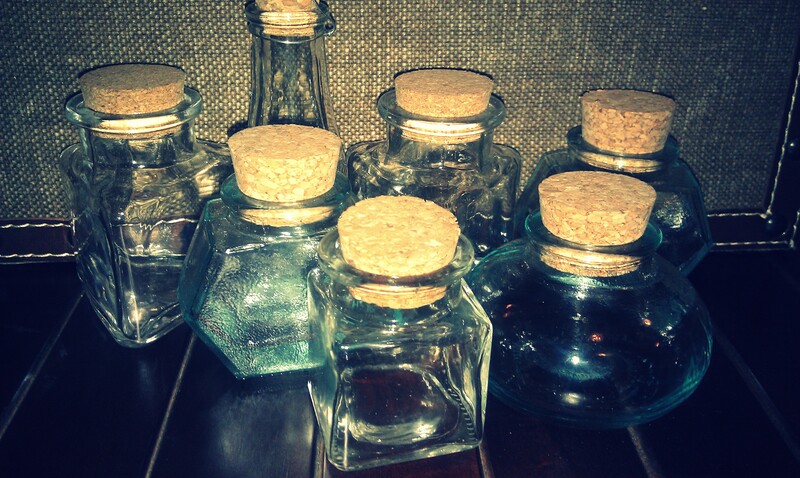 Any way you display the bottles, they are super cute! 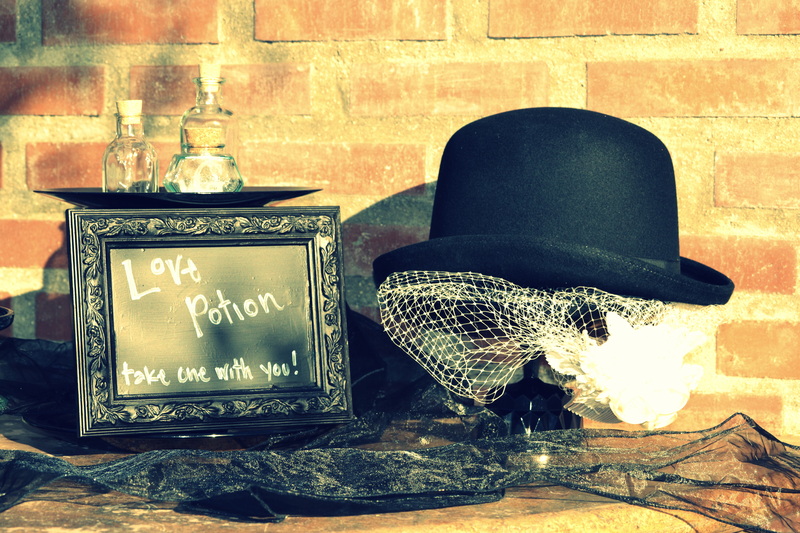 Love Potion! Make them! Do it! Bottle not throttle! what a neat idea………… I have a lot of plain glass vases I think I will try this…they really look sophisticated and this seems easy enough that I could even do it!